75566CPB is rated 5.0 out of 5 by 1. Designed to look like new for life, Brilliance® finishes are developed using a proprietary process that creates a durable, long-lasting finish that is guaranteed not to corrode, tarnish or discolor. While other products may gather unsightly mineral build-up over time, Delta soft rubber Touch-Clean® spray holes allow any mineral residue to simply be wiped away for an instantly refreshed look – with no need for soaking or the aid of chemical cleaners. The pause setting gives you ample space for shaving, lathering and other shower tasks, without worrying about overspray or water waste. This spray setting helps you conserve water, so you can worry less about depleting your supply of hot water - and you help the environment too. Replacing your shower head is one of the quickest, simplest upgrades you can make to your shower. Our shower heads feature a wide range of styles and innovations, and install in less than 20 minutes - no special tools required. Delta WaterSense labeled faucets, showers and toilets use at least 20% less water than the industry standard—saving you money without compromising performance. Rated 5 out of 5 by mallethead from Very Satisfied Product is heavy, well built, and attractive. 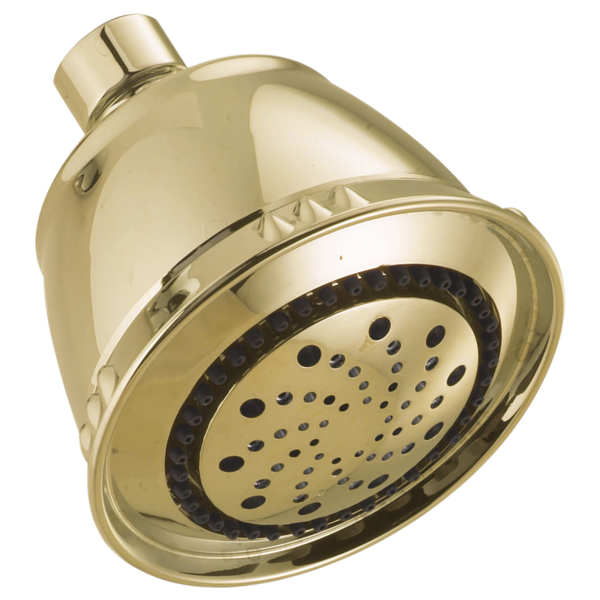 The shower head changes smoothly from one setting to the next and the spray patterns are distinctive and refreshing. I highly recommend this product.